A new study published in the Journal of Physiology suggests that regularly consuming breakfast affects our body fat cells by lowering the activity of genes involved in fat metabolism and increasing the amount of sugar they use up. According to the study, this may reduce the risk of diabetes and cardiovascular disease. The team also found that, when compared with lean people, fat in obese people responds less to insulin , which regulates blood sugar. This decrease is proportional to the total amount of body fat in a person. Over six weeks, 49 adults (20 obese and 29 lean) were asked either to eat breakfast daily before 11 am or fast until midday. 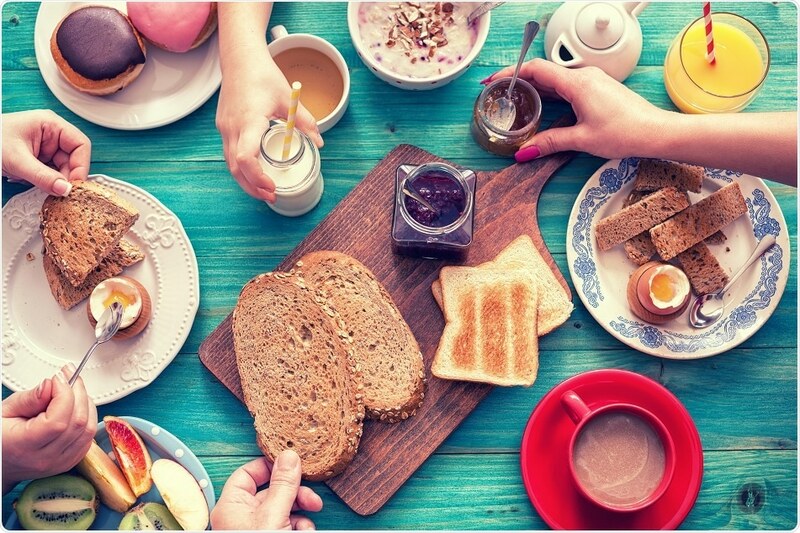 The team asked the participants in the breakfast group to consume 350 kilocalories within 2 hours of waking and a minimum of 700 calories by 11.00 am daily. Both prior to and after six weeks, the metabolism, body composition, appetite responses and markers of metabolic and cardiovascular health of the participants were measured. The researchers also measured the fat content of the participants for the activity of 44 different genes and key proteins, and analyzed the fat cells ability to take up glucose in response to insulin. Gonzalez added that as participants had high-carb breakfasts, extrapolating the findings to other types of breakfasts might not be possible, especially to those with high protein content. He further aims to explore how breakfast interacts with other lifestyle factors like exercise.